With 5 layer technology all the mechanical aspects of a balewrap are maximised resulting in a consistently reliable, high quality, high performing film. 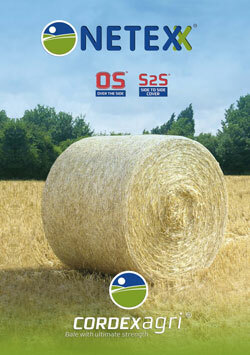 5 Layer technology silage film. What is it? What difference does it make to the ensilaged crop? In order to provide the ideal ensiling environment balewrap needs to offer a number of important elements such as strength, puncture and tear resistance, elasticity, UV stability and the ability to cling in all circumstances. If just one of these features is missing, the wrap will not perform effectively. Collection / local delivery only. Committed to research, design and integration, Cordexagri is dedicated to providing the best performing net wrap on the market. Netexx S2S offers farmers and contractors complete bale coverage and can be used in all makes and models of round baling machines. S2S (Side to Side Cover): 1,23 x 3000 or 1,23 x 3600. 1,25 x 3000 or 1,25 x 3600. 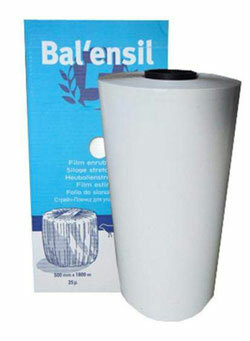 BAL’ENSIL is a blown coextruded 5- layer film, that is produced on Barbier’s own state-of-the-art extrusion lines. It is produced using high quality raw materials and provides great mechanical properties (dart impact test and tearing resistance). It provides optimised stretching and bale wrapping properties thanks to appropriate extrusion conditions (bi-axial design). Its sticky face ensures that the bale is gas proof, waterproof and airproof and it has an optimum UV protection. Good clamp management can make a real difference to dairy and beef yields so it is essential to maximise silage production through best practice and high quality film products like those found within the Visqueen range. As with baled silage the expulsion and exclusion of as much air as possible is crucial to the quality of the ensiled crop. For over three decades many farmers have trusted the robust, durable Visqueen sheeting range to achieve this, thanks to its ability to create good ensiling conditions in the clamp. Known for its high strength, puncture resistance and excellent seal characteristics the Visqueen range benefits from an advanced polymer blend and the latest 5 layer blown extrusion technology. The 5 Layer manufacturing process enables the most effective placement of raw materials within the film blend so that they reach those parts of the film where they are most needed. This ensures the UV stabilizers are on the outside of the film to face the weather with the inner layers bearing the high strength and puncture resistance elements of these exceptionally strong silage sheets. 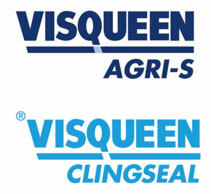 In recent years, farmers have started to apply Visqueen Clingseal – an additional, thinner, more flexible, low permeability film – to the clamp in order to reduce wastage. These new generation clamp sheets sit directly beneath the traditional silage sheet where they closely follow and cling to the clamp surface to prevent pockets of trapped air forming which in turn significantly reduces aerobic spoilage. Because Visqueen Clingseal provides an effective air seal to create the right anaerobic conditions it also facilitates a faster, more efficient fermentation process to deliver enhanced silage quality. Visqueen Clingseal is especially beneficial when ensiling moist feeds like brewers’ grains and crimped maize – higher value crops that are more susceptible to wastage. Visqueen Agri-S is manufactured in a range of sizes from 4 metres to 18.3 metres and Visqueen Clingseal in also produced in a variety of widths from 8 metres to 16 metres. Known for its high strength, puncture resistance and excellent seal characteristics our Agri-S silage sheeting range benefits from an advanced polymer blend. A 5 Layer manufacturing process enables the most effective placement of raw materials within the film blend so that they reach those parts of the film where they are most needed. This ensures the UV stabilizers are on the outside of the film to face the weather with the inner layers bearing the high strength and puncture resistance elements of these exceptionally strong silage sheets. An additional, thinner, more flexible, low permeability film, Clingseal is applied to the clamp beneath Agri-S sheeting where it clings to the clamp surface and prevents pockets of trapped air forming – reducing aerobic spoilage. Because Clingseal provides an effective air seal to create the right anaerobic conditions it also facilitates a faster, more efficient fermentation process to deliver enhanced silage quality – this is especially beneficial when ensiling higher value and moist feeds like brewers’ grains or crimped maize. Visqueen Polycrop is a high quality 5 layer silage stretch film produced on modern 5-layer co-extrusion blown film lines. 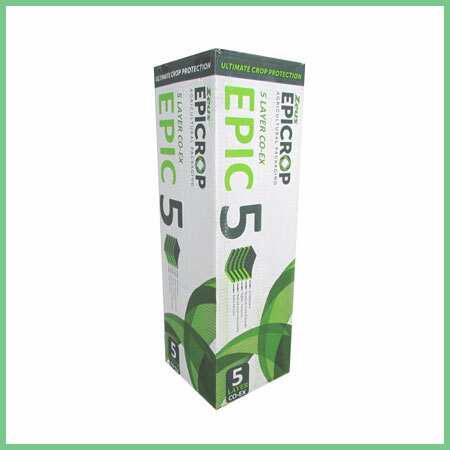 By combining five separate layers of polythene into one high-strength film, 5 Layer Technology offers farmers and contractors a superior balewrap with an enhanced oxygen barrier and excellent puncture resistance. Developed for use on today’s complex bale wrapping machinery, Visqueen Polycrop 5-layer technology film provides a consistently reliable wrapping experience resulting in the production of securely wrapped, well shaped and better protected bales. SYNTECH’s Baler Twines made of virgin polypropylene material, are of high quality and popular for cubic, square, big square and round agricultural bales. The Baler twine range comes in fine, medium, Hay & Heston qualities suitable for all balers and available in all colours like yellow, blue, orange, red, rust black etc, with UV stabilisers. The Deniers are from 9000 to 100,000. The Baler twine is produced at very high draw ratio and fibrillated twisted to high tensile, tenacity and knot strengths. Baler twine weight varies from 3kg to 10kg spools. 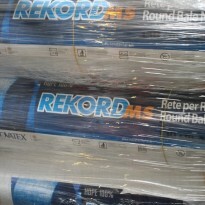 All spools are single shrink wrapped and 2 spools together double shrink wrapped per pack. These twines are available in as low as 5,000 to 9000 deniers for strings. Different colours, sizes, weights and dimensions are made as per customers requirements. These are made with food grade master batches and therefore, not harmful for animals.